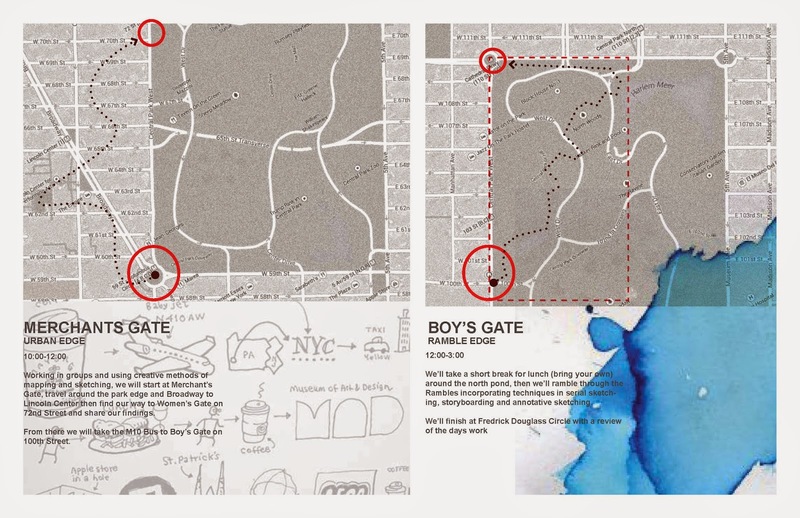 Working in groups and using creative methods of mapping and sketching, we will start at Merchant’s Gate, travel around the park edge and Broadway to Lincoln Center then find our way to Women’s Gate on 72nd Street and share our findings.From there we will take the M10 Bus to Boy’s Gate on 100th Street. 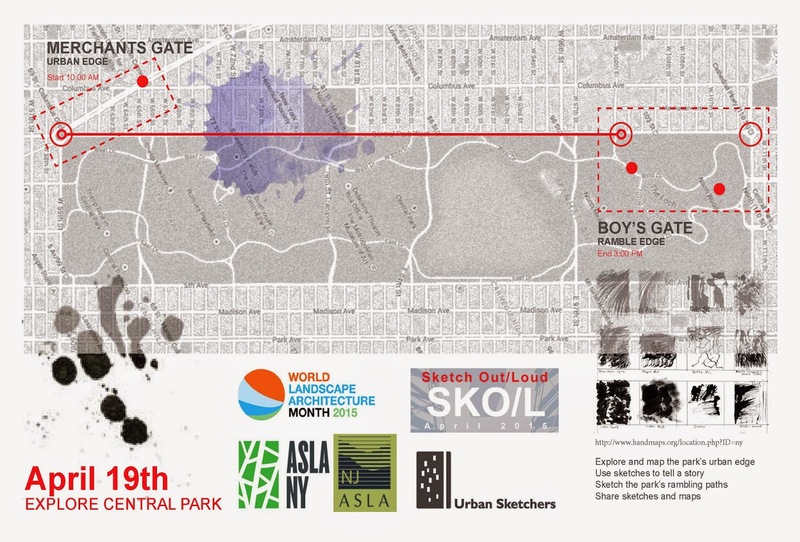 The American Society of Landscape Architects is celebrating World Landscape Architecture Month (WLAM) in April with a series of events that celebrate the places and people that make our profession vital, exciting and significant. 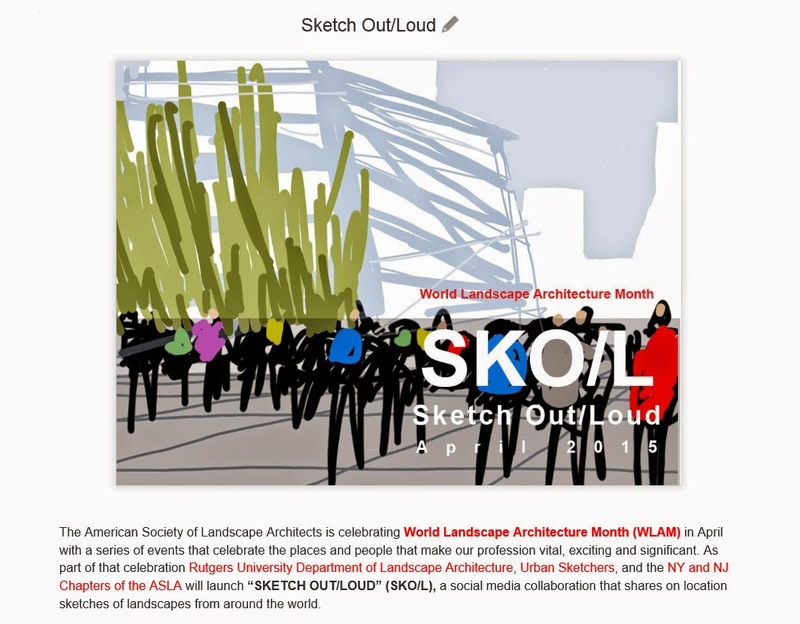 As part of that celebration Rutgers University Department of Landscape Architecture, Urban Sketchers, and the NY and NJ Chapters of the ASLA will launch “SKETCH OUT/LOUD” (SKO/L), a social media collaboration that shares on location sketches of landscapes from around the world.